Xperience19 is the customer event of the year. Learn about emerging technologies, talk with peers, explore the future of customer experience, and in the process, learn to make every moment count. That’s not only our event theme, it’s our promise to you. Make every moment count at Xperience19 and from every day forward as you engage with customers and take their experiences to new heights. Customer Experience and IT professionals under one roof. Breakout sessions designed to take your team to the next level. Sponsors representing the newest and most innovative technologies. 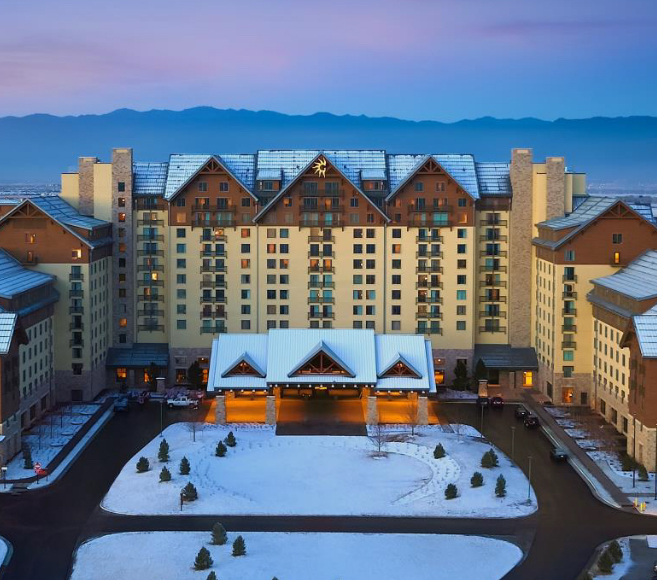 Stationed at the edge of the Front Range, the brand-new Gaylord Rockies Resort & Convention Center in Aurora invites you to find sanctuary just minutes from Denver International Airport. As host location for Xperience19, you’ll be inspired by the breakouts and the majestic scenery. We can’t wait to see you there. The show might have had a different name last year—CX18—but take a look at some of the highlights to get an idea of what to expect at Xperience19. Need to convince your boss? At Xperience19 you’ll learn about product enhancements, latest innovations and experience breakout sessions planned with your job in mind. You’ll meet peers and be inspired by thought leaders from around the world. You’ll also hear from analysts and industry thought leaders and get the most current info about Genesys products and services. And much, much more. Genesys® powers 25 billion of the world’s best customer experiences each year. Our success comes from connecting employee and customer conversations on any channel, every day. Over 10,000 companies in 100+ countries trust our #1 customer experience platform to drive great business outcomes and create lasting relationships. Combining the best of technology and human ingenuity, we build solutions that mirror natural communication and work the way you think. Our industry-leading solutions foster true omnichannel engagement, performing equally well across all channels, on-premise and in the cloud. Experience communication as it should be: fluid, instinctive and profoundly empowering.